My sweet Zoey girl deserves a layout of her own. Her name cut with my Silhouette and two cute flair buttons from the Paper Bakery were the perfect touches for the dog that was sure she was human. I miss you my Zoey girl! Great layout Mary Ann!!! I love the splatters! love all the little embellishments! I love how you split this paper with the cardstock! Great layout! Fun layout! Love the embellishments! Beautiful page Mary Ann!! Love the way you used the Allison Kreft paper for your background! 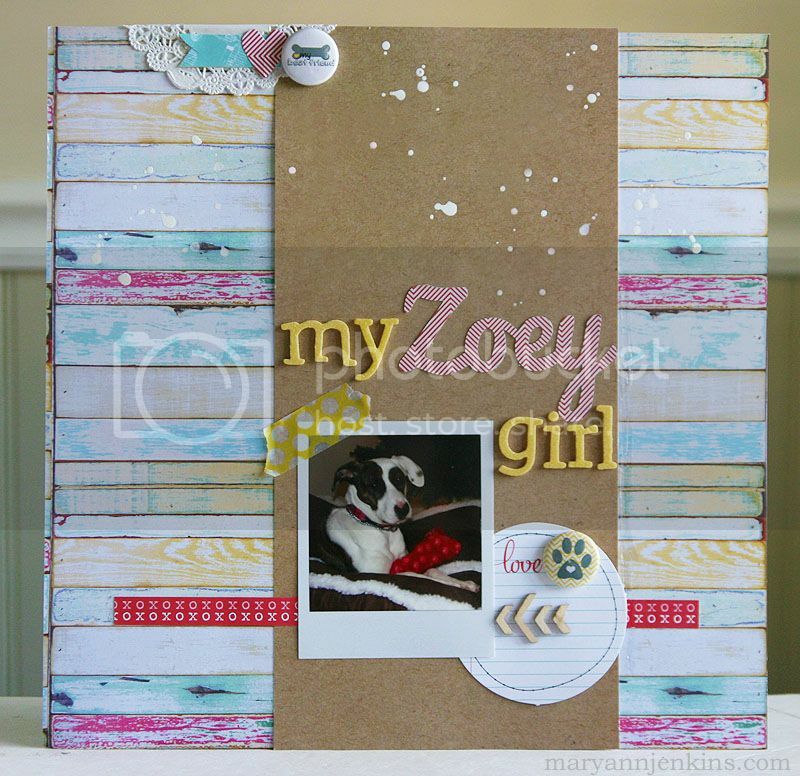 I love your page, great layout, lovely colors and cute splatters!